To sign up to the iTravel Insurance Newsletter, simply click the Request Newsletter button below and you will receive amazing special offers, discounts and access to secret sales. When you book your holiday, it's good to know that you can travel safely and if you have an accident on holiday your emergency medical insurance will be available just when you need it. 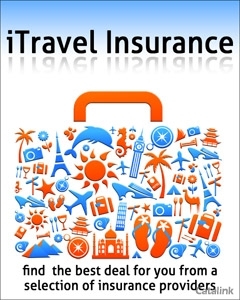 iTravel–insurance have access to the widest range of cheap travel insurance and holiday insurance for all the family. Find discounts for couples and families, special cheap rate travel insurance for single parent families, insurance cover for winter sports even special insurance for your romantic overseas wedding. For the business travellers you will find a range of first class travel insurance covering 365 days of the year including generous medical expenses. Whether you are taking a weekend city break, a fun family holiday on the ski slopes or a boys away trip for some relaxing golf, make sure you have adequate travel insurance to cover all travel emergencies. By Pressing the Request Newsletter button you give iTravel Insurance (and their Data Processors for the specific purpose of delivering your emails) consent to send you their newsletter via email until such time as you choose to unsubscribe.